The plug-in has been designed for use in both production and broadcasting. LC1 controls loudness as well as loudness range (LRA). Loudness Control (Loudness) can be used for long-term, barely perceptible adjustment of the average loudness. Loudness Range Control (LRA) is for normalizing spontaneous loudness jumps. LC1 includes an intuitive interface and settings options for presets as well as detailed access to individual parameters. LC1 can be integrated into both audio and video software via the VST interface (PC). The plug-in can also be adapted for other interfaces. Please contact our support team if you have any questions. The IRT has carried out intensive research on the topic of loudness for many years and introduced the algorithm for LC1 at its 27th sound engineer conference. This algorithm can not only normalize audio signals in real time according to international standards, but also allows the user to adjust signal dynamics to a defined value. This brand new concept combines several patent-pending technologies and maintains the original balance in dynamics, in contrast to conventional levelers. 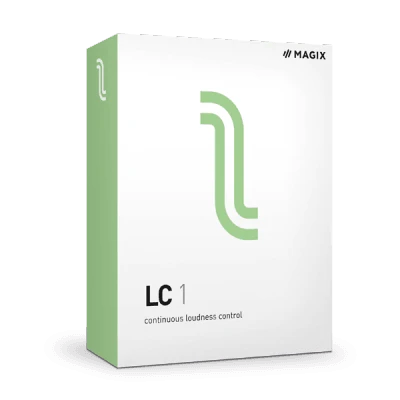 LC1 has been developed in close collaboration with MAGIX as a VST plug-in for Sequoia and other DAWs for adjusting loudness and dynamics in real time and is the perfect addition to existing program features . Industry standards for production, archiving and broadcasting. With the introduction of EBU R128 and ITU-R BS.1770 international broadcasting standards for TV and radio programs in Germany, Europe and worldwide, there has been an increasing demand for tools for modulating loudness in production, archiving and broadcasting. With MAGIX Sequoia is software which combines a wide range of loudness features in a single DAW. It is used on a large scale by German broadcaster ARD. Features such as loudness modulation, True Peak Maximizer, loudness adjustment and loudness-adapted export to databases can also be used in Sequoia – Quality Integration Services (QIS) in batch processing and in watch folders. The LC1 plug-in is designed for adjusting loudness and dynamics in real time and is the perfect addition to the existing features in Sequoia. A CodeMeter dongle is required for using LC1. If you already own a Sequoia or Samplitude CodeMeter dongle, you only need to purchase the LC1 plug-in.